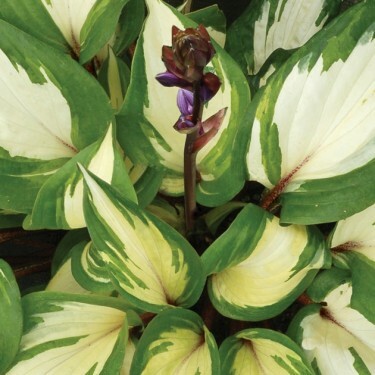 A lovely, compact Hosta that features creamy white centres with irregular green margins. The extra special trait are the deep burgundy stems, leaf bases and flowers. Very cool!